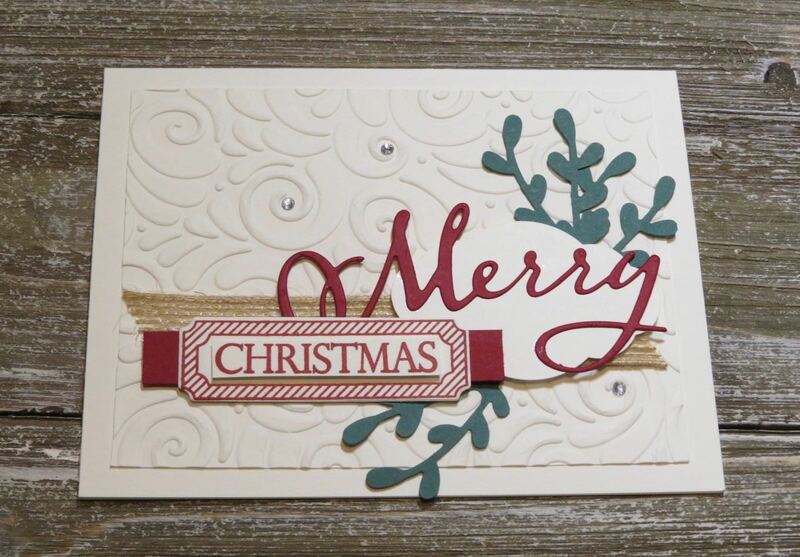 Karina's Kreations: Merry Christmas To All Christmas Card! Merry Christmas To All Christmas Card! Look at this beautiful card!! It's from Linda Baker (I believe) and I love all the extra touches she put on this card. 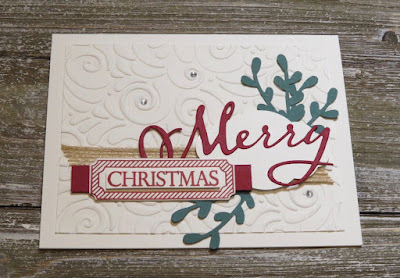 She started with the Merry Christmas To All stamp set and matching Thinlits Dies. I love this bundle. You can create so may different greeting combinations with this set. Linda added the Curls and Swirls embossing folder and Sprig Punch to this card. Here's the rest of the supply list.